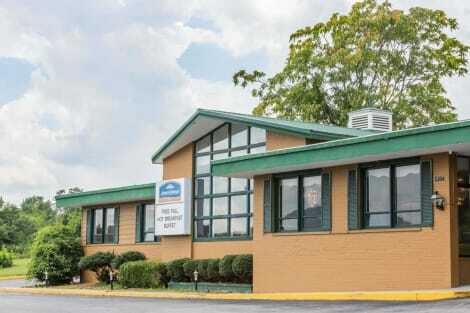 With a stay at Super 8 by Wyndham Daleville/Roanoke in Daleville, you'll be within a 15-minute drive of Jefferson National Forest and Valley View Mall. This hotel is 13.6 mi (21.8 km) from Berglund Center and 13.7 mi (22.1 km) from Salem Civic Center. Enjoy recreational amenities such as an outdoor pool and a fitness center. Additional amenities at this motel include complimentary wireless Internet access, an arcade/game room, and shopping on site.